Good quality and very pretty. 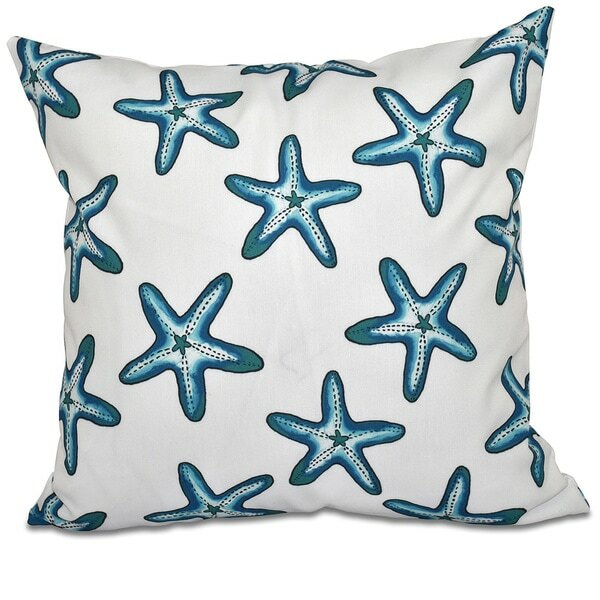 Spice up your home with this Soft Starfish White Geometric Print Throw Pillow. Available in gold, coral, blue and teal and featuring a geometric design, this throw pillow adds a fresh, lively look to your style. The woven polyester cover encases a hypoallergenic, faux down fill, and the 18-inch is sewn closed. E by Design has an element for everyone's home. With our wide range of textile products, you can put a piece of yourself in every room. Following the current trends and bringing the classics to life, E By Design is ready to make your home everything about you.